Want to do more with your Bow-it-All or are you missing a Peg, wrench or Helping Hand Clip well not any more. Purchase the Zutter Bow-it-All Accessory Pack to get the extra accessories you need. This set includes the perfect replacement accessories for your Bow Making tool. Ideal for card making, scrapbooking, paper crafting, floral decor, weddings, gift wrapping, awards and more. This package contains three removable locking pegs, two helping hand clip-on ribbon holders and one peg locking wrench tool. 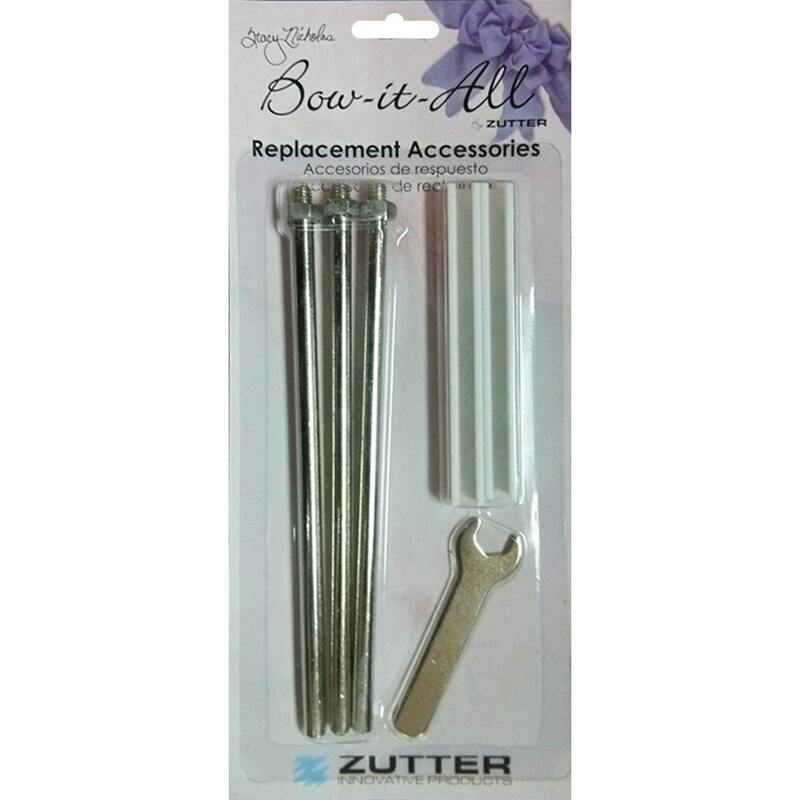 This Accessory Set is Universal and can be used with all versions of The Zutter Bow-it-All.